Our world is full of sounds. 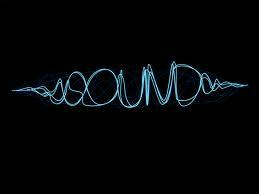 Sound is a form of energy that travels as sound waves. Learn some interesting facts about sound that you might not have known. Understand how sound waves come from vibrations and how your ears give you the ability to hear them. Find out what the speed of sound is, how sound relates to music, the meaning of acoustics and much more. Sound comes from vibrations. These vibrations create sound waves which move through mediums such as air and water before reaching our ears. Our ears vibrate in a similar way to the original source of the vibration, allowing us to hear many different sounds. Dogs can hear sound at a higher frequency than humans, allowing them to hear noises that we can’t. Sound is used by many animals to detect danger, warning them of possible attacks before they happen. Sound can’t travel through a vacuum (an area empty of matter). The speed of sound is around 767 miles per hour (1,230 kilometres per hour). The loud noise you create by cracking a whip occurs because the tip is moving so fast it breaks the speed of sound! When traveling through water, sound moves around four times faster than when it travels through air. The scientific study of sound waves is known as acoustics. Although music can be hard to define, it is often described as a pleasing or meaningful arrangement of sounds. The sound of thunder is produced by rapidly heated air surrounding lightning which expands faster than the speed of sound. Sounds are nothing more than tiny shaking movements of the air. Sounds are made when a material vibrates. Fast vibrations make a high sound, and slow vibrations make a low sound. Large vibrations make a loud sound, and small vibrations make a quieter sound. Plucking, blowing, shaking, beating or scraping can make sounds. Sound can travel through materials. Hard materials can reflect sound so that the sound travels back in the opposite direction. This is called an echo. Whales in the ocean "sing" to each other. The sound of their song can travel a distance of 800km. Sound moves through the air at 340m per second. A wine glass has a natural frequency at which it vibrates. A singer can break the glass by singing a note at the same frequency. Because the frequencies match, energy transfers from the sound to the glass until its vibrations become so strong it shatters. This is called resonance. Resonance is used to strengthen the sound in some types of musical instrument. The loud hooting call of a howler monkey can travel for several miles through the dense forest where it lives. A hollow space in its neck bones works like an amplifier to strengthen the call through resonance. A male frog croaks to attract a female. The frog puffs up a pouch of skin under its jaw. Then it forces air through its vocal cords to make them vibrate. The air in the pouch picks up the vibration and strengthens it by resonance, making the sound louder. When an elephant trumpets a warning, humans can hear it. But elephants also produce low-frequency sounds that we cannot hear. Sounds that happen outside our frequency range are called ultrasonic (higher frequencies), or infrasonic (lower frequencies). A microphone changes sound waves into electrical signals that rise and fall in the same pattern as the sound. Analog recordings store the pattern as a wavy groove cut into a plastic disc (record), or as a magnetic pattern on a plastic tape. In 1877, Thomas Edison made the first-ever sound recording. He recited “Mary Had a Little Lamb” into his new invention: the phonograph. This used a vibrating needle to scratch a groove into a wax cylinder. Sound can be recorded or transmitted as a digital signal. A digital signal holds the pattern of a sound wave as a series of numbers that can be stored on CD or digital tape, or on a computer. When the signal is played, it changes back into sound waves.